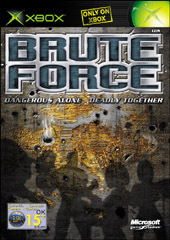 Brute Force is a new action-packed, sci-fi squad-based shooter played from a third person perspective. Instantly take control of any one of your four distinctly skilled squad members to tackle any situation. Whether the encounter requires stealth, tactics, sniping, or just "Brute Force," your team is ready. SOME help with the Brute Force trainer? Anyone who knows?